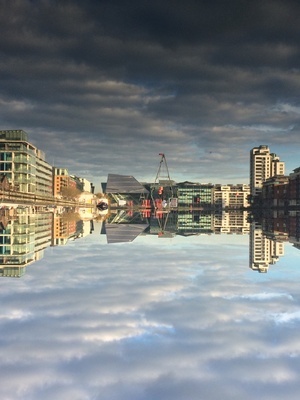 Posted in Photography and tagged Poolbeg, Sky at 9:19 am on February 20, 2015 by Broadsheet. Lovely pic apart from them great big ugly chimneys. When are they coming down? Anyone know if there is a ‘save-the-towers’ style photo gallery page / flickr / tumblr where us concerned tower-fans can post their lovely pics to later use as ammo against their demolition? They are like crows feet, sitting on the prettiest eyes etc. 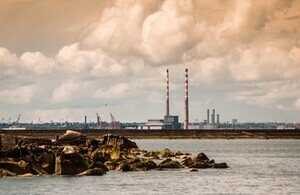 Mmmm, lovely picture of late 20th industrial landscape. Where is it taken from. fukushima might look like that.